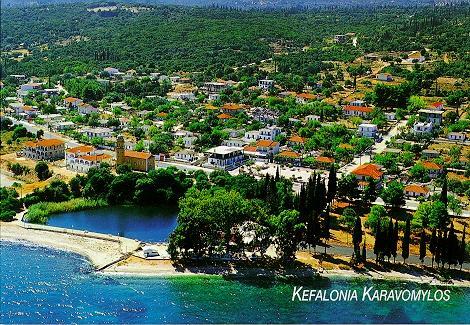 Karavomilos has a small circular lake, with lush vegetation and fresh water which flows into the sea. The surrounding area has quaint geological phenomenons. Really impressive is the cave of Drogarati with rare stalagmites and stalactites. The interior can easily host a concert. The acoustic of the cave is similar to this of the ancient theaters. Very close to the cave is the underground lake of Melissani, which was discovered in 1951 by the speleologist Yiannis Petrohelos. Big part of the roof has fallen making it easy for exploration. 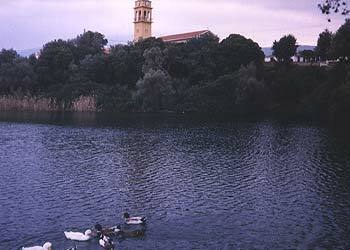 This lake is a really impressive sight, not to be missed. In order to reach the lake, you will pass through an underground arcade enjoying an unforgettable row in the cold waters of the lake.